Hubspot founders Dharmesh Shah and Brian Halligan are the authors of Inbound Marketing, an insightful, short and easy-to-read guide to enhancing your website and thinking about it as a key tool in attracting clients. They compare their now-popular “inbound” techniques to the giants and show neophyte business owners how to improve their web presence, increase their sales and conversions, and how to do so in a short time on a small budget. The book is full of bright ideas and pithy examples but I recently took the time to extract what I thought was a must-have list of tools and concepts any business owner, at any stage of a marketing plan, can learn from Halligan and Shah. Time for a website audit? It is quite common – and often essential to success – for us to offer a quick appraisal of a website’s performance before delving deeply into any action items or scoping any big campaigns. If you want inbound success, here are the 14 questions you will want to ask yourself. I’ve written the explanatory answer to each question too because this is what Creative Agency Secrets can do for your website. We know how to make your website work harder to achieve your goals. 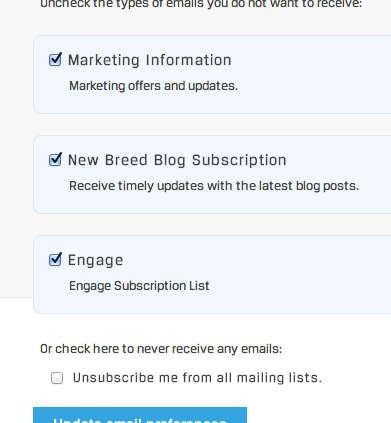 Do you, or your website, do these? 1. Are your title tags designed for humans? The <title> tag is an HTML element that doesn’t actually show on your webpage. It does, however, show in the top of your browser and, more importantly, it’s that blue clickable text in Google. Marketers used to load these up with keywords before Google got wise, and clever. These days the best thing you can do to succeed with inbound marketing is to make sure you’ve got human-readable title tags, that say what your business does (not who you are) in 70 characters or less. 2. Does your website pass a basic mobile-friendly check? It doesn’t have to be perfect but it has to work. With something like ⅔ of website use now conducted on a mobile or tablet device, you’ve got to be ready. More than 90% of people say that access to information is important to them. Give your users the information they need in an easily accessible format, also known as mobile devices.You don’t want your readers squinting to see your value-add! In fact, more than 80% of users believe a seamless integration between devices is important. This is why Apply is so successful. Make sure you pass a basic check and talk to your webmaster if you don’t. Not only will your readers thank you but Google will prioritise traffic to your website if you’re optimised for mobile. 3. Do you update your site regularly? Ideally you run a blog, not at blogspot.com or wordpress.com, but on your domain name. You publish content a couple of times a month and you provide real value, not sales jargon, to your readers. Don’t know what to write? Become an authority in your field, comment on recent happenings in the news. If you’re on top of this already, ask yourself, do you have: onsite search, related articles, and buttons for readers to share your stories on the most relevant social media? 4. Do you have a sense of the core industry keywords and pages to match? Often you’re so deep in your industry niche, product or service that you have your own language for talking about what you do. Yes, in part it’s your job to educate your prospects about that, but you also have to be found for those keywords they’re using to search. Get some basic research done on what people search for in your industry and write pages that speak to those searches. 5. Does your site load in about 3 seconds? Try a test for yourself at Pingdom. We don’t all have fibre yet, and large loading speeds will put people off. If you’re a photo blog, or some other website that has a heavy number of assets to load with good reason, look into Cloudflare, and yes, they have a free plan. 6. Do you have a security certificate? An SSL certificate confirms for the client that you are who you say you are and that they are reading and communicating securely with the genuine owner of the website. It prevents “phishing”, people pretending to be you to steal credit card numbers or email addresses, and confirms for the user that their personal data can’t be intercepted by a third party. In years past online credit card providers took away the hassle of having to pay for and install an SSL certificate each year, but now many providers have on-page solutions (meaning that the user doesn’t even leave your site to pay). Even if your payment solution is still off-site, you add reassurance by making the process seem secure to your user end-to-end. Finally, Google itself opted for a security-first approach, serves all its own content securely, and prioritises websites that themselves prioritise security. 7. Is your website ‘paired’ with its social media properties? You probably already have a Twitter account, or a Facebook business page, or a YouTube channel, but have you told the world this is your official account, representing your business on this platform? Take a look at some guides to link your accounts: Google+, YouTube, Facebook & more. 8. Do you have a contact form? You probably have an email or phone number on the website, and you might have tried a contact form only to find it got a lot of bogus submissions. But persist with the contact form. It allows you to collect and database your prospects much easier than you could do via email and it allows you to protect your personal email address from ending up on unwanted spam lists. Finally you can ask important questions of your prospects. E.g., are they contacting you for sales or support; are they interested in Widget W or Gizmo G? 9. Does your website have a call to action? You want visitors, but once you get them you want to know for yourself what path you want them to take, or what actions you want them to take. These are your ‘goals’. Make sure you have clear buttons that direct your user to your goal: e.g., “Start a Free Trial”, “Sign up”, “Become a member”, “Check out our product range”, “See what our customers think”. Make it bold and clear, and remember, “Contact us” is one of the least effective calls to action, it requires too much commitment on behalf of the casual browser. 10. 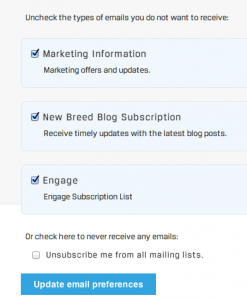 Do you do A/B (split) testing for important calls to action? A/B testing is showing two or more groups of visitors two or more variations of page at random. This allows you to gather stats on which layout, button, wording or offer is the most effective. 11. Do you convert 15% of your visitors? Conversion is the difference between a contact in your database or not; a sale or no sale. Do you keep track of how effective your marketing is and do you get three out of 20 people on your site to make some kind of commitment? Commitment doesn’t necessarily mean a sale, it could just be downloading a PDF or joining a newsletter. 12. Do you spend more time actively seeking new traffic than tweaking and changing? The plumber’s sink is never fixed and the web marketer’s website is never perfect. But don’t let that worry you. A/B testing is great, it’s insightful and it’s important but you have to have someone to test it on. Make sure you’re spending 80% of your time on strategies to get new traffic and 20% of your time on what they see when they get to your site. 13. Do you regularly communicate with your prospects? Once you’ve got traffic and you’ve got conversions you’ll need a way to communicate with them. That’s usually an email newsletter. People are used to hearing from their favourite brands, sometimes as regularly as weekly, but if you’re not communicating with your prospects at all you’re not building trust. Equally important is not alienating yourself from your clients. Put a face on a corporation. Send your emails from an address that’s personal, not a noreply@corporatebusiness.com-type address. Include your personal contact details in your email signature. You want your communications as natural as possible. 14. Do you have a reminder when someone leaves a purchase incomplete? Over half of the checkouts on most industry-standard carts do not get completed. That is, someone puts a product in a basket, enters their email and name but not their payment information. When that happens, most good shopping carts will let you automate an email to the client, checking in to see how they’re going and why the payment was never made. 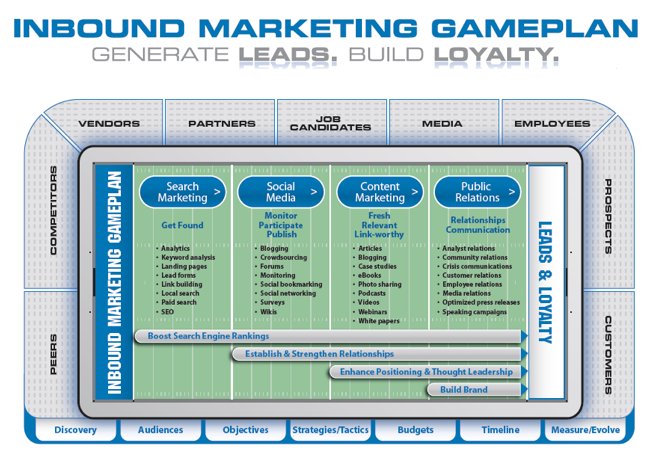 If you’re nodding along and answering yes, then you’re on track for a successful inbound marketing strategy. If not, give us a call and we’ll do a review of your website. Paul Roetzer is a striking, energetic man. We met after I’d read his first book, the Marketing Agency Blueprint which explains how he has founded a PR agency in a 21st century mould. You worked in a traditional agency – how did they view biz dev? They didn’t really have it – they were reliant on the traditional networks of the founders. The growth was dependent on that and referrals. Some limited efforts to do DM pieces and promotions. Yes I think in a lot of cases – agencies are built that way. We did research in 2010 into PR agencies only a small % were blogging. They were trying to provide social media services but weren’t doing it wll for themselves. Agencies tend to come last and that’s why they haven’t done good biz dev work. Take care of your own needs after everything else. I find that messaging and websites are often outdated and they rely on reputation and networks and RFPs for new business. In the book you liken your business plan to a football field – Why? Drive Charts – showing progression down the field 10-20 yard line. This was an analogy – we have to do each of the phases systematically to eventually get to the end zone or the goal. I also wanted to represent different things at once – audiences (stadium) the brand (a place). See Paul’s diagram here. How do you manage the agency website internally? One of the senior consultants is also the agency’s marketing manager and is also the blog editor. In most cases her role is to keep the editorial calendar up to date and the team of the writers – we try to do 1-2 per week. We also have a premium content strategy – the book started as a 2010 e book; we did “The marketers guide to web design”. We also have plans to do premium content which isn’t paid for but is just high quality. Gated content = lead form to access. How does she report and on what? Same as clients – traffic, organic, lead generation, blog subscriber base, social media and how engaged – followers and likes we have. We do a monthly scorecard – pull the data out of GA and Hubspot and create a spreadsheet thta shows core numbers, assess it and 3 takeaweays – highlights, learning snad what we’ll do next month. Tomorrow, read Part 2 of the interview with Paul. In the meantime, why not buy the book [affiliate link] it’s in hardback or Kindle editions.